Researching Jewish family names can be a tricky task, since there are only three surnames that are specifically Jewish in origin. Traditionally, Jewish people did not use family names. They were referred to by their father's given name. For example, a person might be known as Moses ben Abraham (Moses, son of Abraham). Even today, names in the patronymic form are still used in synagogue and in Jewish legal documents such as the ketubah. The surname Cohen comes from Kohein, which is the Hebrew word for priest. Having this surname indicates that a person's patrilineal ancestors were priests in the Temple of Jerusalem. A single priest in the Temple of Jerusalem was known as a Kohen, but the hereditary caste descending from these priests is known as the Kohanim. Cohan seems like it would be a logical variation of the Cohen surname, but Cohan is actually Irish in origin. Lavigne, even though it is pronounced like Levine, is a French surname and not a variation of the Levy family name. Surnames that contain -berg, -stein, -man, -thal, or -bluth are likely to be German in origin, although it is true that many of these family names are very popular among Jewish people. One reason why so many Jewish people have German surnames is a 1787 Austro-Hungarian law that required Jews to register a family name. A requirement of this law was that the surname be German in origin. A significant number of Jewish people have Russian surnames ending in -vitz, -witz, or -sky. During the 18th century, large numbers of Jews living in Russia were assigned surnames by the country's census takers. The names were picked arbitrarily, although some were derived from a person's occupation or place of residence. 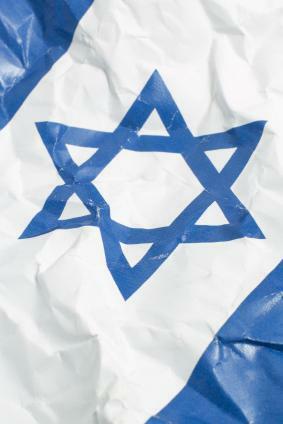 It is a common misconception among the general population that a surname indicates whether or not a person is Jewish. While there are surnames that are associated with the Jewish community, it is important to remember that many non-Jewish people have these surnames as well. For example, the third most common surname among Jewish people in the United States is Miller--which is also a very popular family name in the general population. If you are constructing your family tree, you will need to conduct additional genealogical research to determine your ancestor's religious affiliation.